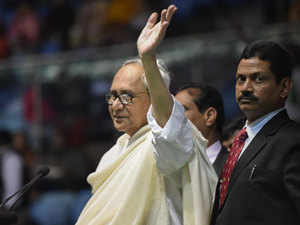 BHUBANESWAR: The Fifteenth Finance Commission on Wednesday praised Odishafor making significant progress and hailed Chief Minister Naveen Patnaik’s non-waiver agriculture scheme. While states looked for the fiscal space available for farm loan waivers, the commission was concerned that they do not threaten the macroeconomic stability of the country. The Commission noted that Odisha, under “continued political stability and the enlightened political leadership” had maintained a debt-to-GSDP ratio of 20%, which was close to what the Fiscal Responsibility and Budget Management (FRBM) Act had set. Patnaik’s government has submitted a memorandum to the Commission, demanding a grant of Rs 8.24 lakh crore as the state’s share in central taxes and duties for 2020-25. This includes a special package of Rs 1,500 crore (over the regular grants on disaster response) for mitigating and strengthening disaster preparedness and Rs 200 crore for development of the Jagannath temple in Puri. Odisha also wants a further devolution of central taxes and duties from 42% to 50%. Before it decided on vertical distribution of funds, the Commission would need the detailed submission of the central government, expected in the course of a month, Singh said. He stressed that while the Commission’s terms of reference obligated it to consider the 2011 census figures as basis, it would ensure that there was no penalty for performance and that efficiency was not discarded. At 10% annual growth, Odisha has outpaced the national average, but this growth also showed significant volatility and lack of consistency in the longterm, Singh said. Despite improvement in many health indices, Odisha still has one doctor for 8,000-10,000 people, he added.